Ras Al Khaimah has further strengthened its position in Europe as a leading tourist destination, recording a 28 per cent increase in visitor numbers from the region so far this year. The boost in visitor numbers is thanks to Ras Al Khaimah Tourism Development Authority's (RAKTDA) targeted industry initiatives in the first 5 months of the year. As part of RAKTDA’s destination 2019 strategy, increased emphasis has been put on growing further awareness of the breadth of offer in key European markets. 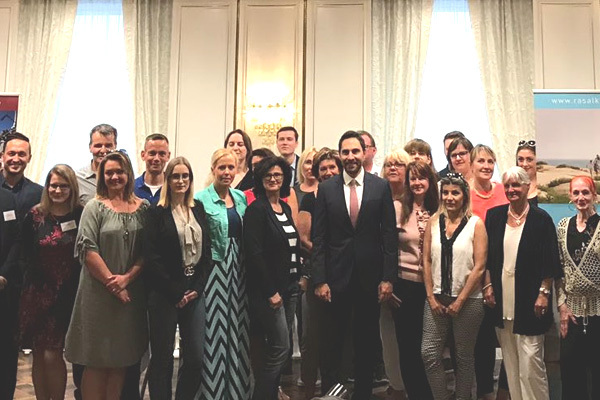 The first half of 2018 has seen a further boost of RAKTDA’s promotional efforts with visits to more than 4,000 travel agents in 45 European cities. Last week, the European roadshow headed to Germany and Switzerland, with CEO Haitham Mattar visiting Mannheim, Nuremburg, Hanover and Zurich to meet industry representatives and introduce Ras Al Khaimah’s diverse and spectacular beach, desert mountain, and adventure offering. Germany is already a key market for Ras Al Khaimah and combined with other key European markets including UK, Nordics, Poland and the Czech Republic, they account for a large portion of the increasing international visitor arrivals to the emirate. UAE arrivals in Europe have also risen this year, accounting for 30 per cent of the growing number of visitors travelling to the destination. RAKTDA has also increased its presence on the ground in Europe with a growing network of representation and promotion offices, with the latest office opening in Stockholm to support the Nordic region in April 2018.